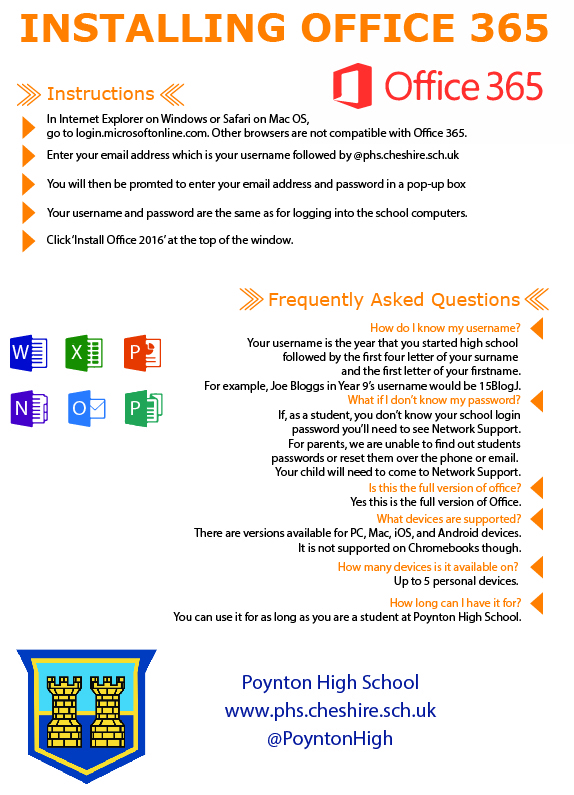 All current students have access to download a full copy of Microsoft Office for free using Microsoft Office 365. Below are some instructions on how to download it. Please be aware passwords can only be reset by visiting Network Support.